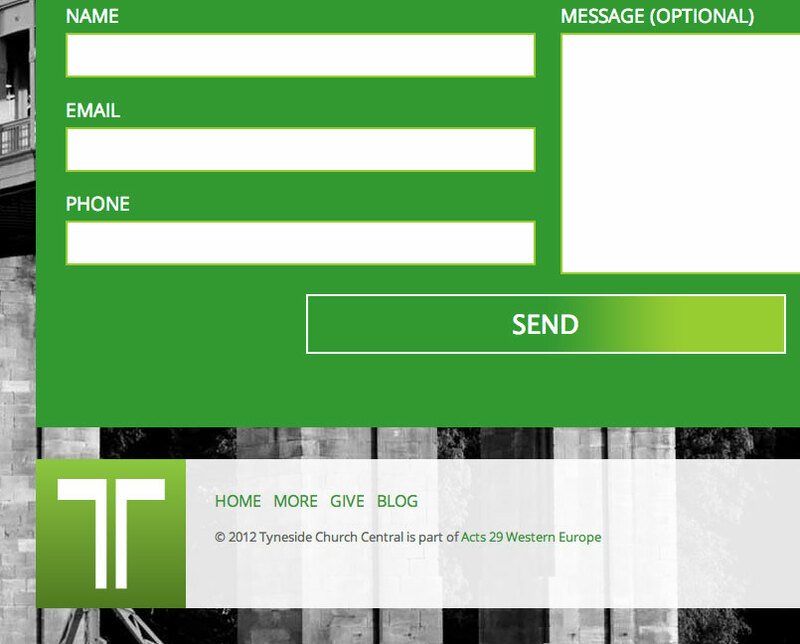 Church websites should be simple to use, accessible and flexible for future expansion. 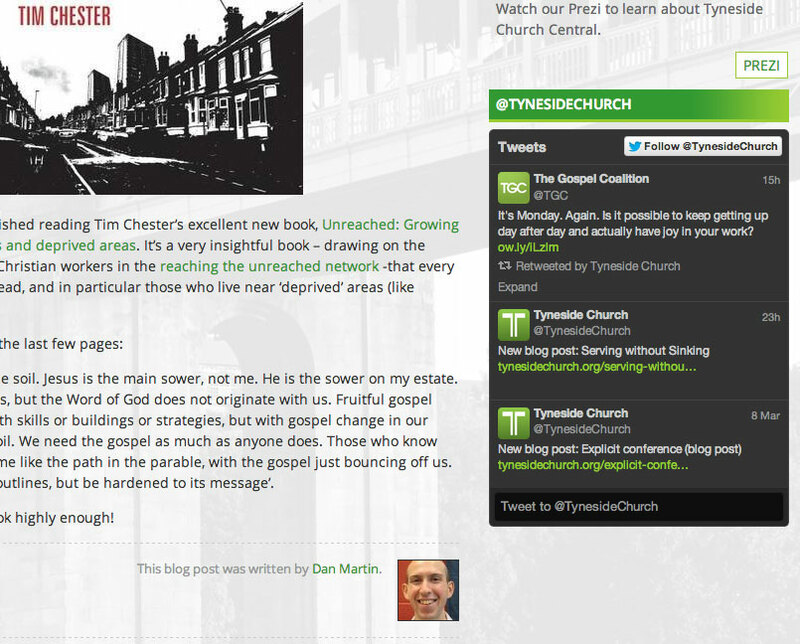 This website was designed and developed for a new church plant in Gateshead, and incorporates these three ideals. Visually it builds upon the existing church logo and branding, with clean, fresh aesthetics on the backdrop of urban photography and textures. In an increasingly mobile, device-diverse world accessibility must mean websites not breaking down on smaller devices. To that end, this church website is built upon a responsive design framework which dynamically responds to the size of the screen it is being viewed on. Put simply, the site looks good and works just as well on desktop monitors as it does on an iPhone. Out of date church websites are an all too real nightmare. 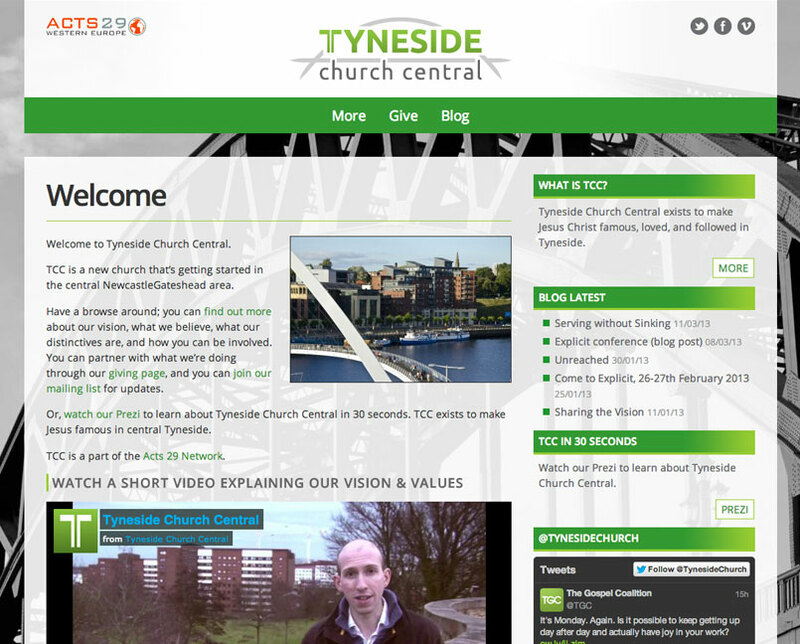 This church website utilises the content management solution WordPress to enable church members to easily write blog posts, add articles, change content, upload recent sermons and much more.